But there are more subtle and refined forms of protest that can be applied to situations, especially situations of greater social importance. Like what these female lawmakers did as Donald Trump gave his first congressional address. Without making a sound, they made their feelings about the President and his policies as he prepared to address the legislative bodies. Mostly Democrat women from the Senate and House of Representatives made it clear on social media that it was no coincidence they were all wearing white for the occasion. They all donned "suffragette white" clothing to send a clear message to our current President that they support women's rights. 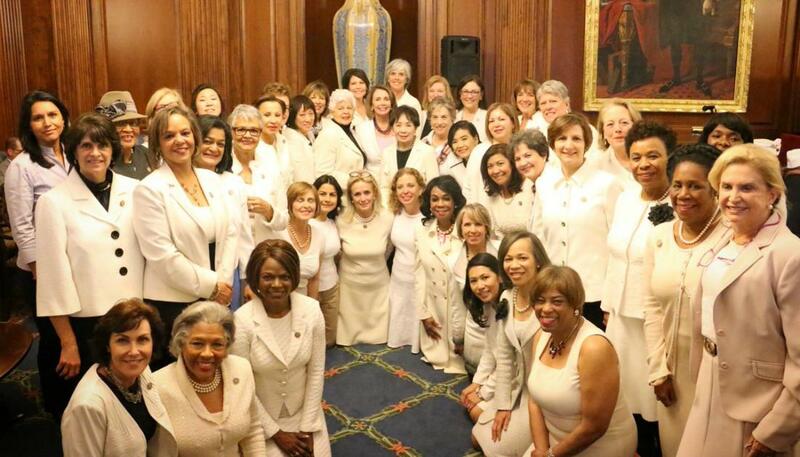 Democratic lawmakers tweeted photos of their white outfits with the hashtag, #WomenWearWhite. Male lawmakers joined in as well. California State Representative Mark Takano tweeted this photo of him wearing a yellow rose as a symbol of women's rights.